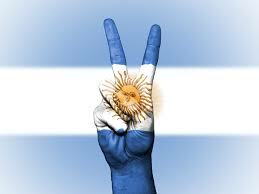 I once held onto hope that watching “Butch Cassidy and the Sundance Kid” would provide all the intel I needed to make my way across Argentina. To be fair, I learned that Argentina is made up of large swaths of desert and canyon regions from this film. They drink Malbec. You often see towering mountains in the distance. And when cornered in a bar or restaurant, it’s advised to come out swinging. What more could you need to know? Turns out… there is a fair amount more, and this is yet another example of me letting the movies overly-influence my decision making. Don’t even get me started on how “Flubber” informed my masterful plan to break out of detention sophomore year. Worst, day, ever. Besides our monstrous ride in the US, Argentina marks the country we’ll spend the most time cycling in throughout our 9-month journey across the Americas. For the full details of our planned route, be sure to check out our main Cycling in South America page. There was one “can’t miss this,” event for our travels in Argentina. The fu*%ing “Catalina Wine Mixer.” Okay, maybe it isn’t actually named that (and sorry for those non- Step Brothers fans out there, but seriously, what are you doing with your life if you’ve never seen that movie?) but the Fiesta Nacional de la Vendimia certainly appears as though it will be just as epic. 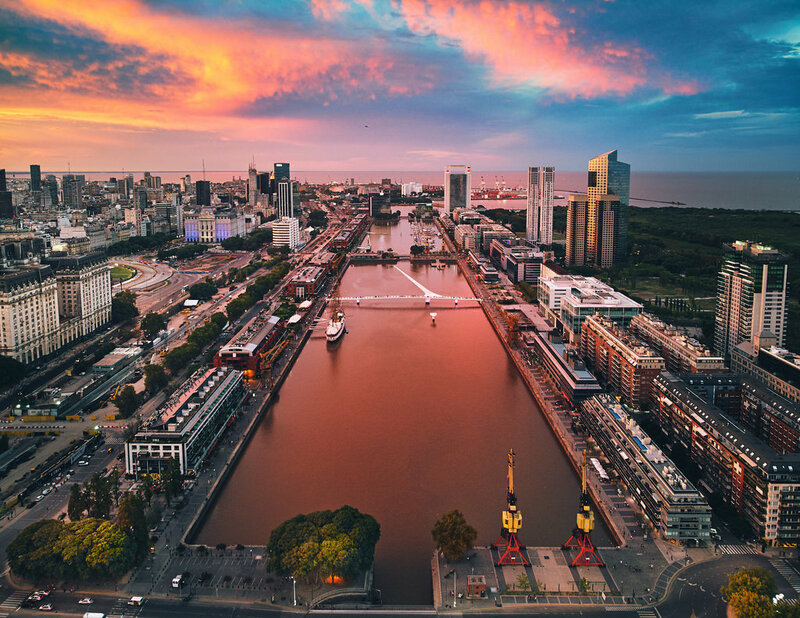 The Fiesta Nacional de la Vendimia (translated: National Grape Harvest Festival) is the largest wine festival, perhaps even festival period, in all of Argentina. The festival technically kicks off the last day of February and runs through March 7. From all I have researched, it promises to be an electric few days filled with pageantry, fireworks, parades, song, dance, and of course… bottles and bottles of wine. We are fortunate enough to have visitors with us for this part of the trip! TJ and Sandi (Suzie’s brother and his wife) will be joining up with us to celebrate the first leg of our journey and… well, drink lots of wine and hang out with us. 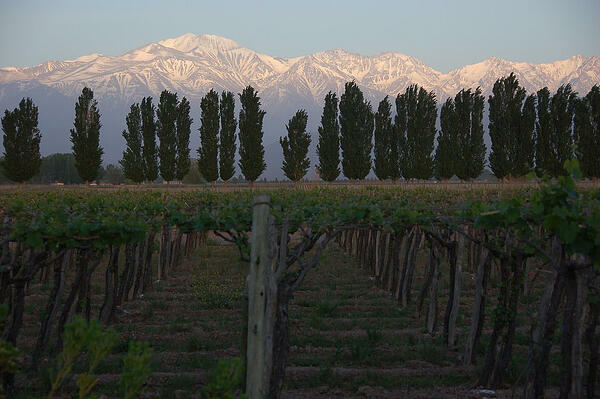 While in Mendoza, there are plenty of other things that sound interesting, including a trip to Aconcagua, the highest peak in the Americas. While a late addition to our trip itinerary, the pictures that I found from Salta captivated me from the start. Another draw, due to the relative remoteness of the region, is that it’s largely missed by tourists who visit Argentina. Therefore, rather than cutting due east from Mendoza towards the border, we decided to add this destination to the adventure. In all the research I’ve done, the phrase that keeps coming up in describing the region is “diversity.” We could find ourselves riding across a desert one day that is suddenly bordered by gorgeous canyon walls, and then out of (apparently) nowhere land in the middle of a tropical rainforest. Another phrase that comes up a lot: dinosaurs. How can you possibly miss an opportunity to see dinosaurs? 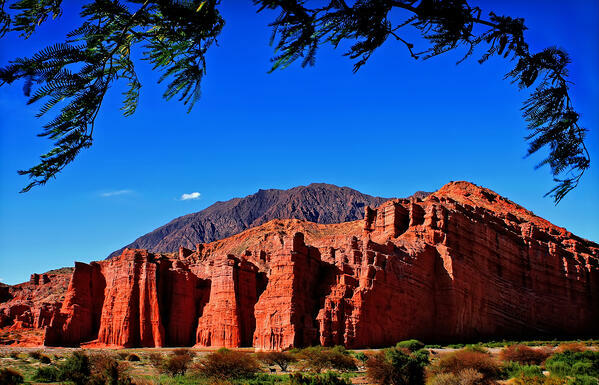 On our way north to Salta, we’ll pass through Talampaya national park, which houses fossils of dinosaurs from every epoch of the Triassic period. Every. Epoch! This sounds like a paleontologist’s (or paleontologist’s in training) dream. I cannot wait for the part where the goat comes out to graze on the other side of the fence. Seriously… can, not, wait. The trip from Mendoza to Salta promises to continue the “climbing trend” we’ll be accustomed to by this point of the trip. There are at least 4 significant climbs along the way as we gain a total elevation of over 18,000 feet. Here’s hoping the view is worth the trip! Departing Salta, we plan to head due east towards the border of Paraguay and then on to Iguazu Falls. After all the climbing we’ve done to this point, the ride to the border should be a piece of cake. It’s 600 miles of relatively flat riding across the Pampas. Defined as: extensive treeless plains in South America, I worry a bit that this is going to be incredibly boring. In fact, now that I do a double take on that definition I just typed… I think it’s a foregone conclusion, but as of writing, we plan to push through this section and make the best of the flat roads. 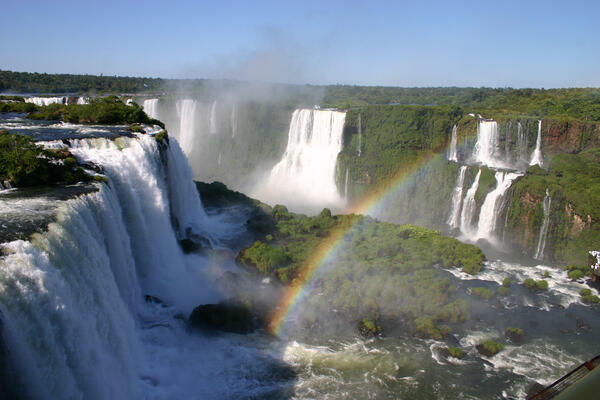 After crossing into Paraguay near Asuncion, we’ll cross the country and make our way to Foz do Iguaçu; our jumping off point for visiting Iguazu Falls. This spot is a major goal for our entire tour and something we’ll be striving for every pedal of the way (see what I did there?) up to this point. Iguazu is a true wonder in the jungle, made up of a 2-mile stretch of waterfalls bordering Argentina, Paraguay, and Brazil. Of all the natural wonders we plan to visit this year, I have a feeling this one is going to be on the very top of the list. If you have never seen pictures of this, I highly recommend a trip over to Google. Otherwise, you can just wait to see some pics from us in a few months time! I’m not going to sit here and lie to you: Suzie and I considered skipping Buenos Aires while in South America. After several conversations with friends and digging into a articles online, we realized we were a couple of ninnies. How can you possibly miss this city?? After a projected 3,051 miles of cycling and 90,857 feet of climbing, we think we’ll earn this urban break for a couple of days. And we plan to take full advantage of the luxuries of city life. We plan to stay in the Palermo neighborhood for a couple of days as we eat and drink our way across town. We have a list of recommendations from friends and family, and we’ll be sure to post our own take on these once we get the chance to take a look ourselves.